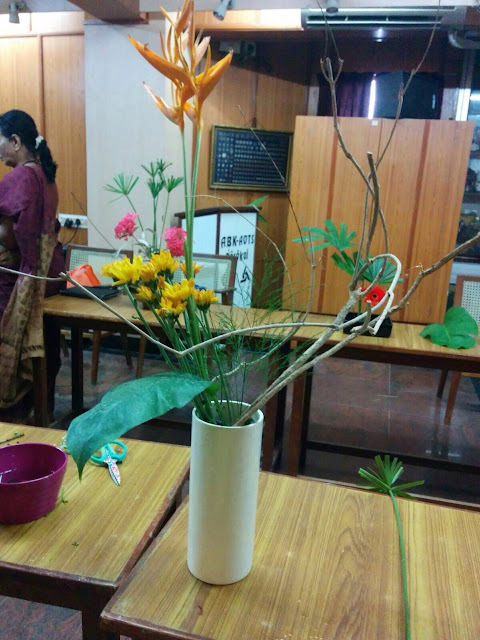 The October workshop was held in the beginning of the month, as the festive season of Navaratri starts next week, and all the ladies will be busy with dolls, dancing and desserts! 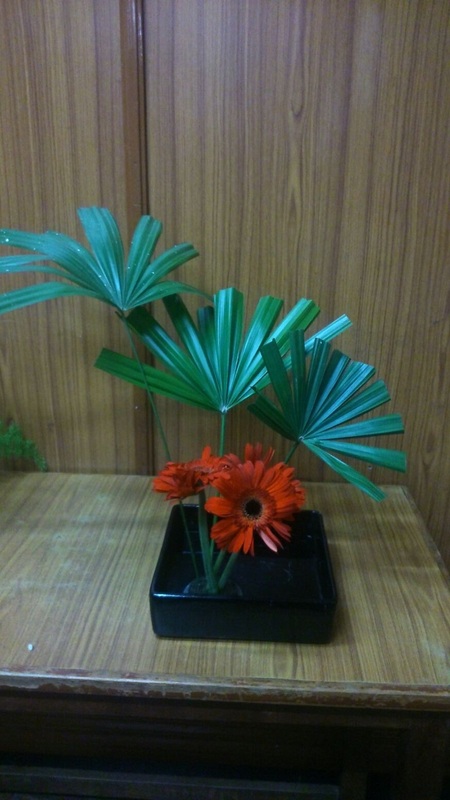 It was a Freestyle workshop, and our two "new" senseis, Prerana and Trishala, demonstrated their freestyle work, before all those present participated. 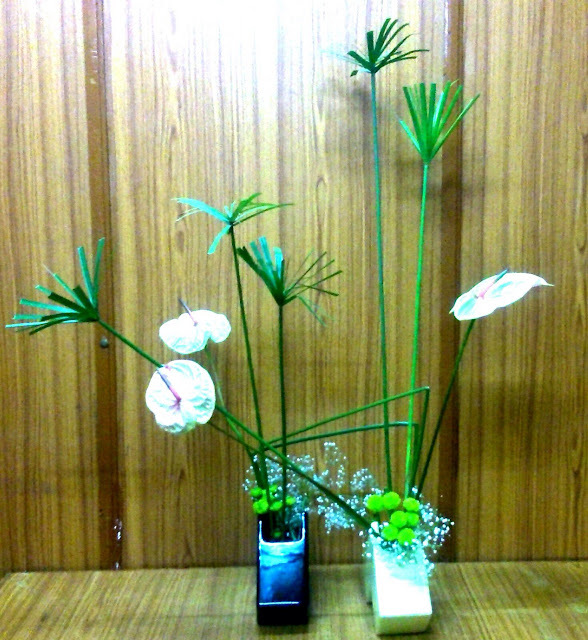 Their demonstration was highly appreciated by the members present, and we wish them all success and fulfilment with Ikebana teaching! 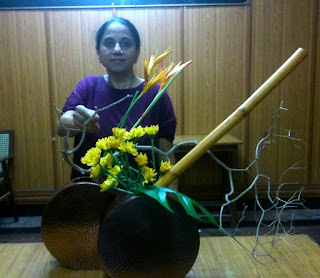 Prerana sensei remarked, "my copper vases depict age, the bamboo strength, the dry branch is age and weakness and flowers add colour to life. 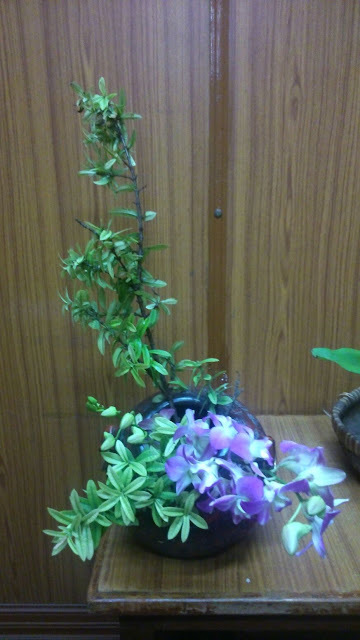 Strength and weakness are two sides of a coin." 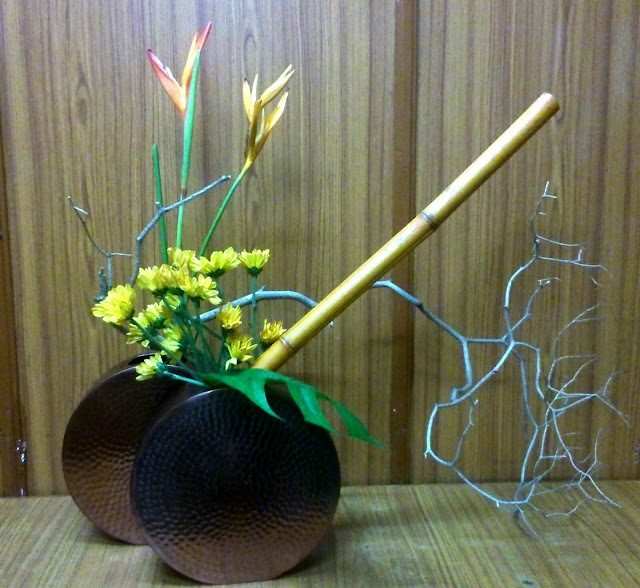 Trishala sensei used angles to complement her vase, and bring delicacy via the flowers and their colour. 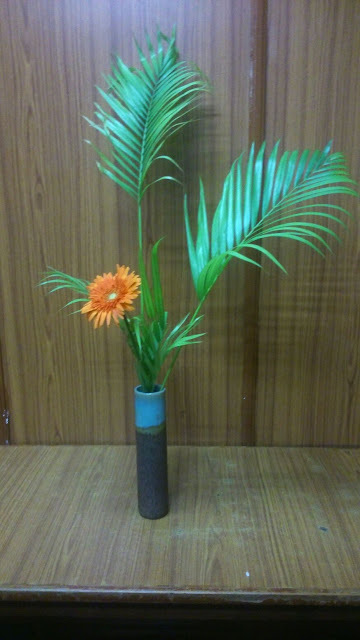 Seethalakshmi experimented with space between her fresh flowers and the dry lines. Dalley sensei created a moribana with a tropical look and feel. 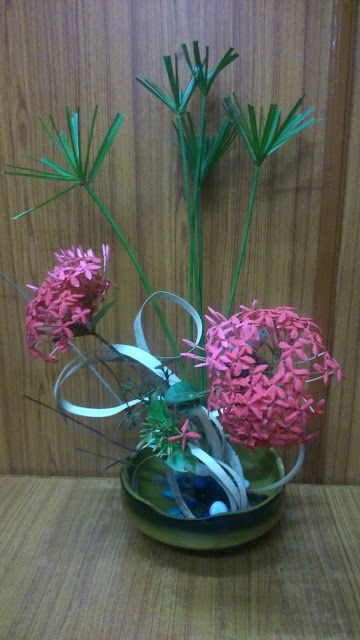 Chitra R used a glass vase, and beautifully balanced colour, line and mass. 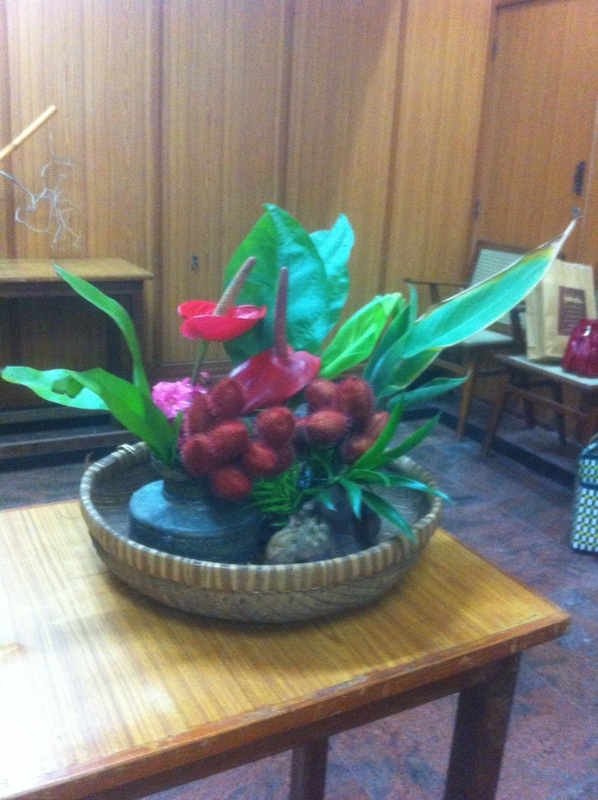 Zaitoon brought focus on the red jerberas, against the black of her vase. Roopa's nagiere composition created a large space with the flamboyant palms and single colour as focus. 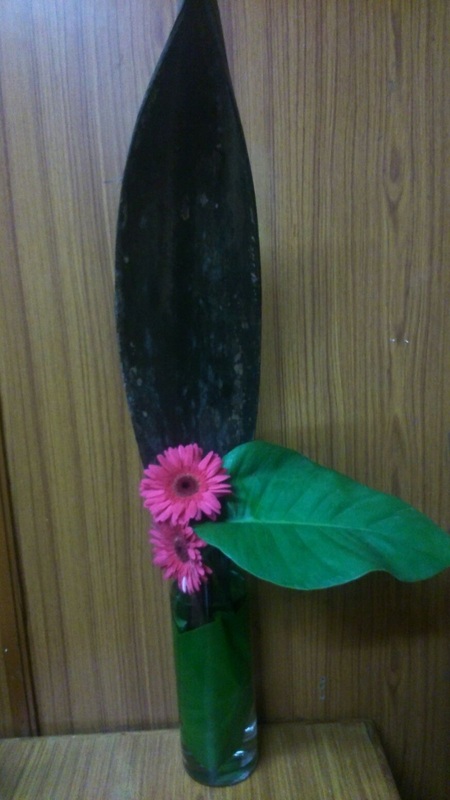 Janaki - "The rattle flower was my inspiration, as I'd never seen it before. 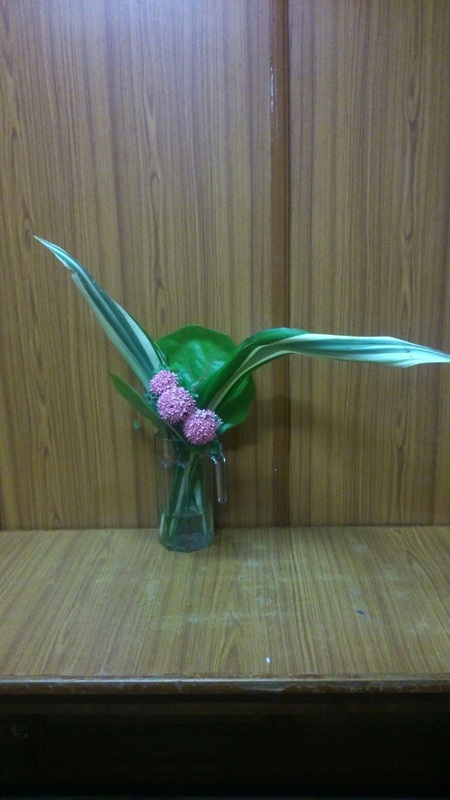 I also wanted to showcase the container whose lines are reflected in the flower." 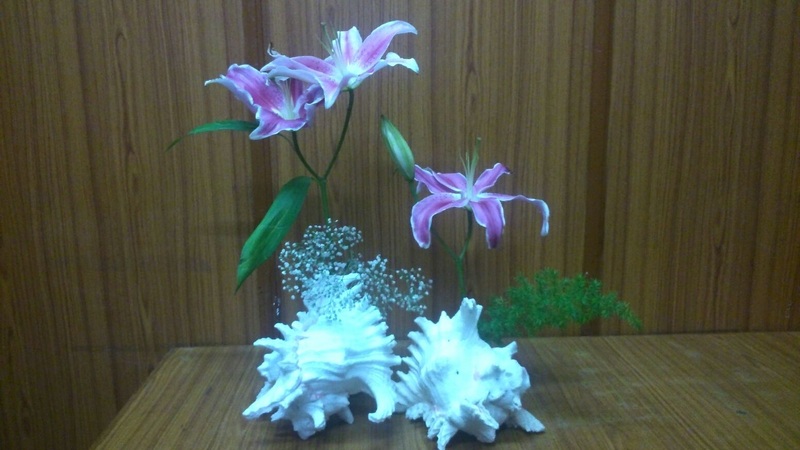 Chelvi - "the shells were the highlight in my arrangement. I chose lilies to compliment the delicate edges of the shell. The big open flowers were chosen to balance the heavy bottom of the shells." 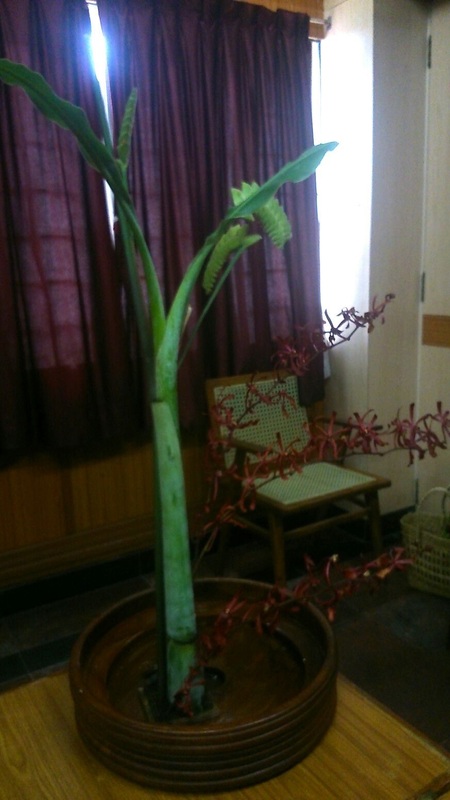 Divya showed the surface of the large leaves to striking effect. 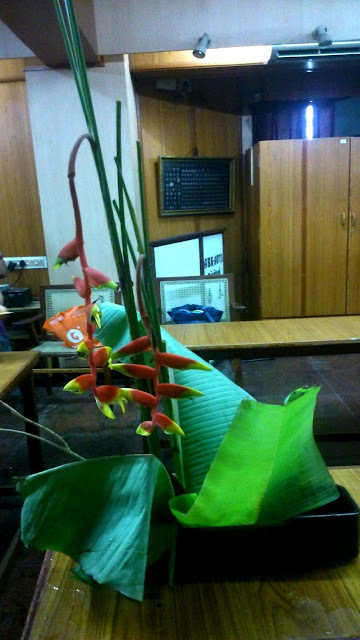 Sensei Malathi brought drama via the colourful heliconia and the large and interesting banana leaves. 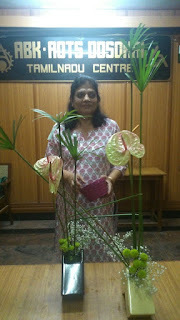 The group dispersed after refreshments A wonderful Navaratri celebrations to all.